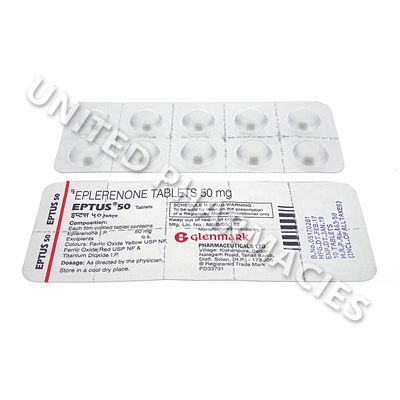 Eptus (Eplerenone) is primarily used to help prevent congestive heart failure following a heart attack. It may also be used to treat hypertension (high blood pressure). 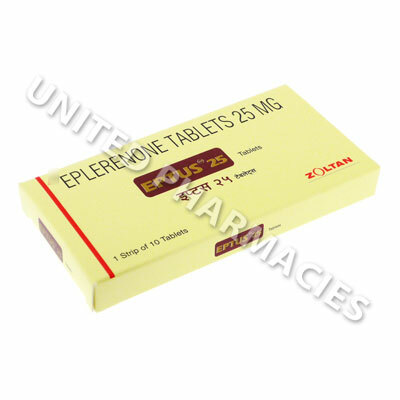 Eptus (Eplerenone) is primarily used to help prevent congestive heart failure following a heart attack. It may also be used to treat hypertension (high blood pressure). It works by altering the aldosterone hormone, which is an important blood pressure regulator, allowing the heart to function more efficiently and strengthen your heart. 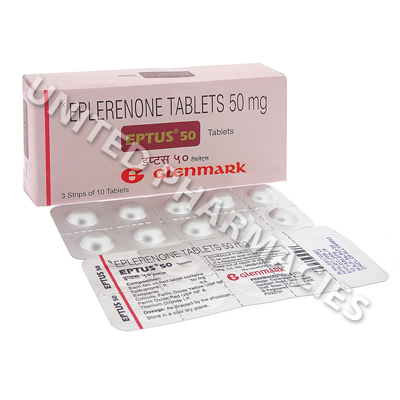 Dosage will usually range from 25mg to 50mg of Eptus (Eplerenone) taken once or twice per day. Tablets can be taken either with or with food, but should always be taken alongside a large glass of water.